REMBRANDT: THE LATE WORKS – J. Bikker & G.J.M. Weber (2014) | Weighing a pig doesn't fatten it. As I’m a bit bogged down in the 700 pages of Erikson’s epic Gardens Of The Moon, I’ve decided to do a review of an art book I’ve just finished. I will finish that first book of The Malazan series, I like it a lot, but it’s just such a slow, massive read, and on top of that it has been a busy few weeks too. 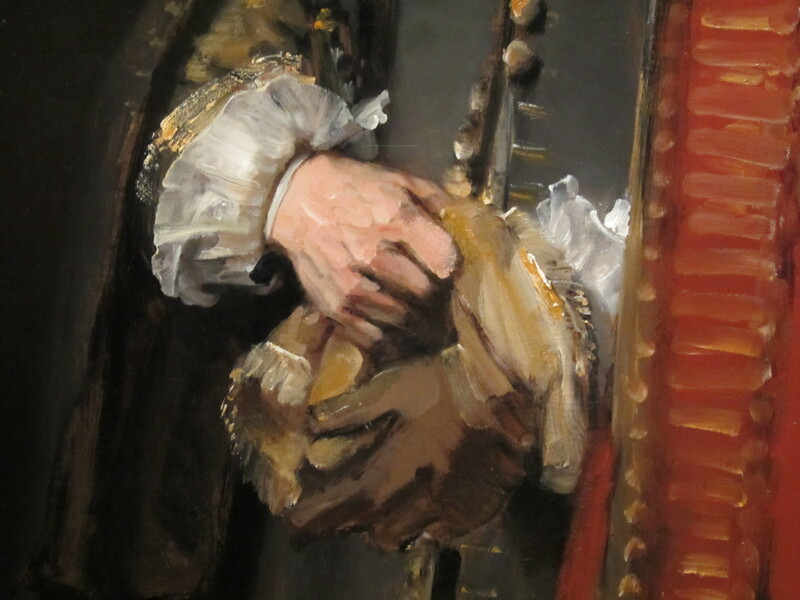 So here’s some thoughts on Rembrandt! There’s more pictures after the jump! I had the pleasure of coming of age in a group of friends heavily interested in contemporary art – 2 of them painters themselves – and so I’ve spent quite some time of my early twenties in art museums and galleries. I still do, but to a much, much lesser extent. During those years, I’ve come to realize that the history of art has a lot to offer too, and that art doesn’t need to be new and shiny to be of interest. I kinda already knew that, as I cried seeing Botticelli’s fifteenth century masterpiece Allegory of Spring in the Uffizi in Florence when I was 17. But it was only in 2007, when I saw a documentary on contemporary Belgian painter Sam Dillemans, that I gained the right mental tools to really look at “old” art. Dillemans is a huge Van Gogh fan, and he uses Van Gogh to explain that it’s not really important what you paint, but how you paint it. That’s obvious maybe, but to my 28-year old self it was revelatory. 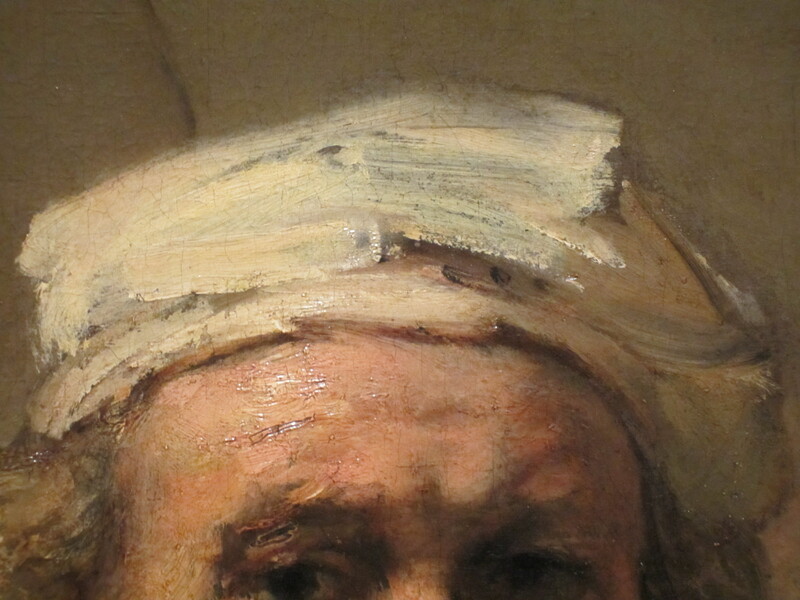 Enter me, 35, seeing Rembrandt Van Rijn’s final self-portrait in the Mauritshuis in The Hague, July 2014. That museum has Vermeer’s The Girl With The Pearl Earing too, but the 1669 self-portrait is the true gem of the collection. I was struck by lightning. I had seen paintings by Rembrandt before, but never one of his late works. 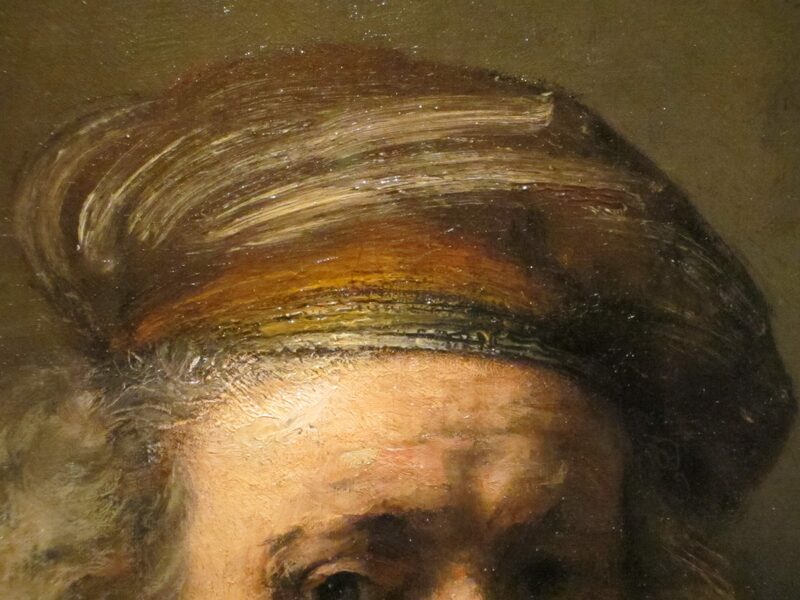 The way he painted his hair, topped with a kind of turban or ribbon, is simply stunning. In a way, what I saw was the birth of impressionist and even expressionist painting, already in the 17th century. It took me half an hour before I could continue to the next painting, and before leaving the museum, I returned to it again. A profound delight. So when The National Gallery in London and the Rijksmuseum in Amsterdam put on an historic, first time exhibition devoted to Rembrandt’s later works, I was thrilled. The London show ran from October 2014 to January 2015, and travelled to Amsterdam afterwards, from February to May 2015. I saw the Amsterdam exhibition. It was amazing. I didn’t buy the exhibition’s catalogue afterwards, but the taught of it kept nagging, and a few weeks ago I did order it. Jonathan Bikker & Gregor J.M. Weber have done an excellent job in putting together a clear yet detailed book on Rembrandt’s later works. The book includes contributions of the editors, and Majoerie E. Wieseman, Erik Hinterding, Marijn Schapelhouman and Anna Krekeler. It has 325 pages and tons of illustrations. The authors do a great job of putting Rembrandt firmly in his historical context. To our eyes Rembrandt might seem old hat – he’s such a part of our visual collective subconscious – but he’s not. Even today he remains fresh and relevant, and back in the 17th century he simply was in a league of his own. 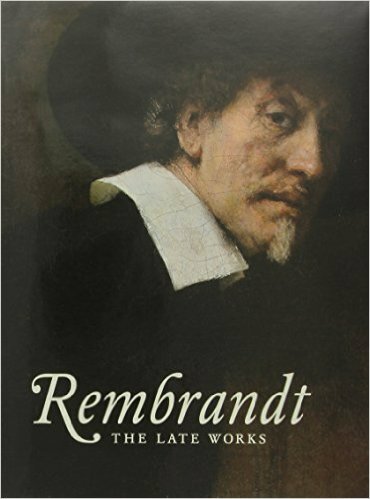 The texts feature quite a lot of quotations of 17th and 18th century art historians, and they succeed in proving the exceptional, revolutionary nature of Rembrandt. And that’s not just because of his technique – his brush strokes, his command of light, etc. – but also his command of composition and emotion, and the specific, singular way he chose to portray subjects and topics that were common at the time. He was a true genius, on multiple accounts. 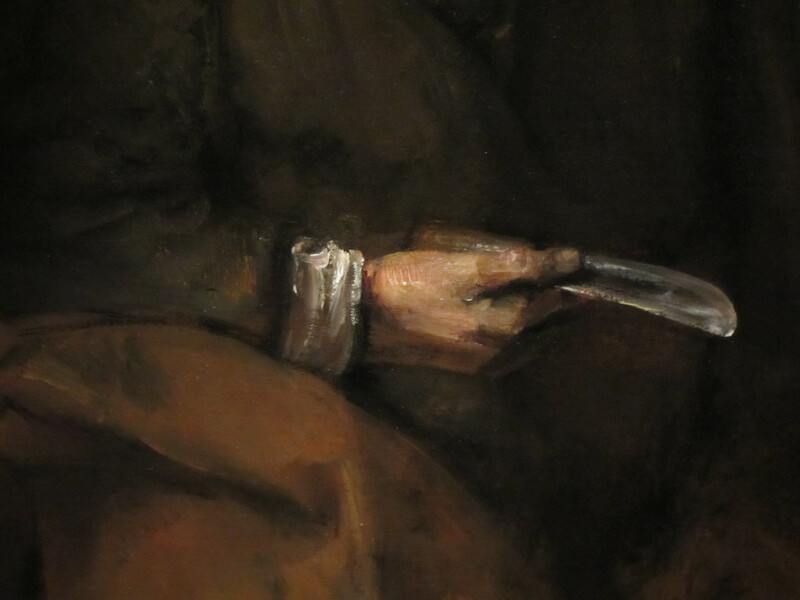 The book also zooms in a bit on Rembrandt eventful, tragic life. It’s not a biography however, the focus is on his art throughout. The book is detailed, as I said, but that’s necessary. One needs to look at these paintings with a sharp, observing eye, and the text guides the reader’s eyes expertly. I’ve talked about paintings, but the book also elaborates on Rembrandt’s etchings – beautiful and revolutionary too. It also features some drawings, but to a lesser extent. It includes a few X-ray pictures and other high tech scans, to study the evolution of certain paintings themselves. There are also quite a lot of paintings and etchings by other artists, to give even more historical context. The quality of the illustrations is simply stunning. I’ve seen other books on Rembrandt published just a few years ago – expensive, authoritative editions – and the quality of the print simply doesn’t match what we have here. Obviously, a print on a paper page is no match for the real deal, but it doesn’t get a lot better than this. Great close ups, vivid colors, clear, sharp, with depth. Just expertly printed. It bears repeating: the best I’ve seen so far. But it’s no use beating around the bush: to truly appreciate Rembrandt’s genius, you have to see these paintings in real life. I wonder if the book could convince somebody who has never seen at least of a few of these paintings. Luckily, for my international readers, they are spread across the world: Vienna, Washington, Prague, Paris, Berlin, Glasgow, Boston, San Diego, Kassel, Toronto, Melbourne, Stockholm, Minneapolis. But again, no use beating around the bush: the bulk of his later work is in Amsterdam and London. The English edition of this book chose a terrible cover. I do not feel the painting you see at the top of this review truly represents later period Rembrandt. It’s not expressive enough, not experimental enough. The cover for the Dutch edition does a much better job: both the painting it selected (A Woman Bathing In A Stream, 1659) and the contemporary design express Rembrandt’s singular spirit in a much more fitting way. I’ll end with some photographs I made visiting the Rijksmuseum exhibition. De Nederlandstalige editie van de tentoonstellingscatalogus is verschenen onder de titel Late Rembrandt. This entry was posted in Reviews and tagged 17th century art, Art, Art books, Gregor J.M. 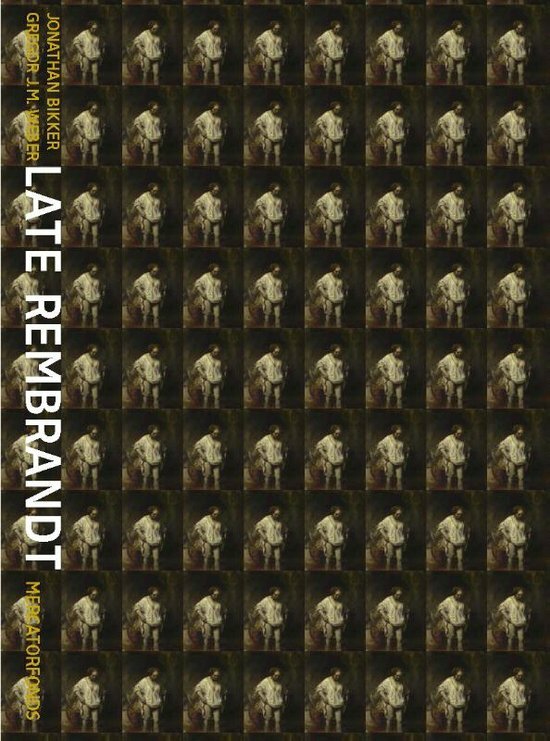 Weber, Jonathan Bikker, Late Rembrandt, Non-fiction, Painting, Rembrandt, Rembrandt Harmenszoon van Rijn, Rembrandt: The Late Works, Rijksmuseum Amsterdam, The National Gallery, Visual Art. Bookmark the permalink. I’d admired Rembrandt before but not yet got round to loving his work. Your review might just change that, thanks, and on my next London visit I’ll make a beeline for his work. I think there’s a big gap between the early and the later work. The early work is good obviously, but it’s less loveable as it’s less radical in it’s technical approach. Nine years is young for such a moment! You must have been proud. Pingback: FAVORITE ART BOOKS | Weighing a pig doesn't fatten it. Pingback: 4 SHORT REVIEWS | Weighing a pig doesn't fatten it.